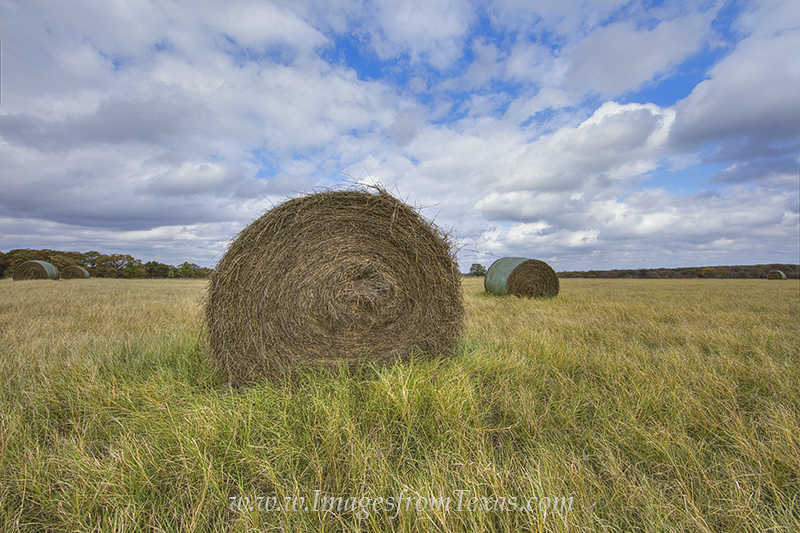 Bales of Hay rest under November skies. The harvest has come. Time to be stored until needed during the Texas winter. Photo © copyright by Rob Greebon.